Trumark’s founders talk about their start, the present and the future. 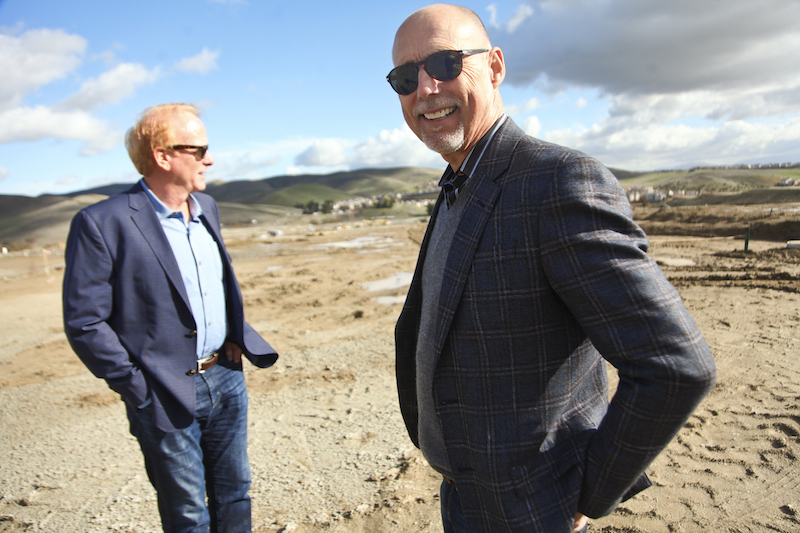 Gregg Nelson and Michael Maples founded the Trumark Companies in 1988, a few years after the two college friends received their business degrees from San Jose State. Maples went on to receive a Master of Divinity degree from Bethel Seminary in St. Paul, Minnesota. Today he serves on the Board of Trustees of Biola University and as the Vice Chairman of the Board of Directors of Hume Lake Ministries. Nelson’s career spans more than 35 years in the construction, development and real estate investment arenas. He is known for his creativity, financial engineering and deal structure prowess. 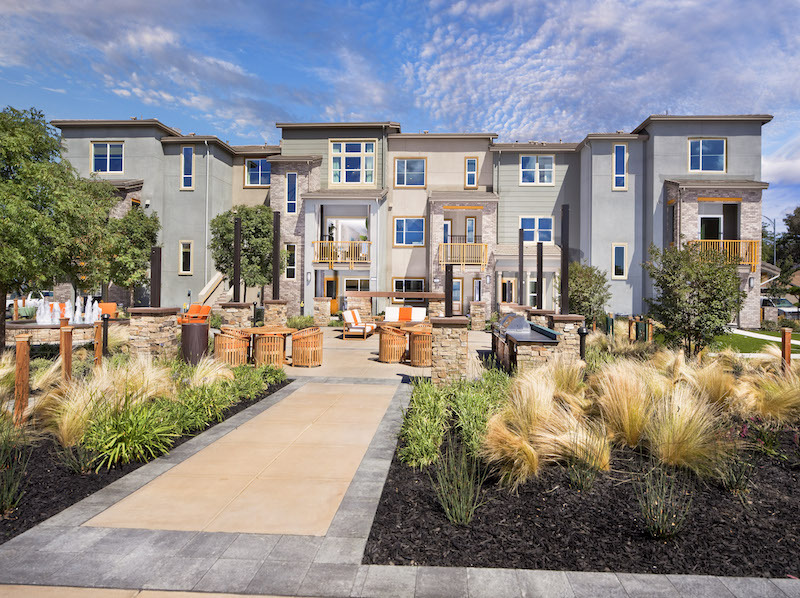 Together with co-founder Maples, Nelson’s leadership and passion has helped create a development company focused on creating traditional suburban subdivisions, as well as urban, multifamily residences, mixed-use and transit-oriented developments across Northern and Southern California. TR: How was Trumark formed, and what were some of the principles that led to you to start the organization? MAPLES: Gregg and I became friends in college and later moved our families to the East Bay to help start a church in the Tri-Valley. As a second pursuit, we decided to utilize our previous real estate experience to form Trumark in the late 80’s. We work well together as a team, and we knew that we needed a way to make a living for our growing families, so that direction just made sense to us. Trumark operates on four core competencies that are built into the DNA of the company and are responsible for our success: creative problem solving, deal making, tenacity and market insight. These four principles have never let us down regardless of the state of the real estate market. Additionally, we sought to build the company through alignment with four cultural values: resourcefulness, responsiveness, respectfulness and integrity. TR: How has Trumark grown from those early days? What are all the activities of the organization today? NELSON: In the early days, Trumark was involved in small building projects including custom homes and small subdivisions, but the market crash in the early 1990’s brought everything to a halt. Following that, we took a narrower focus on the land entitlement side, which was a real value-add service and honestly, something we were really good at doing. We always wanted to get back into homebuilding and didn’t see an opportunity to do so until after the 2008 recession. That was when Trumark Homes was born. We started our first project in 2009 and closed our first set of sales in 2010 with 24 homes. In just a few short years, we’ve been able to grow the organization substantially, selling 133 homes in 2014, and we expect to sell a total of 224 homes in 2015. Opportunities in the market over the years have led us to form several other divisions under the Trumark umbrella, including Trumark Communities, a residential land development platform; Trumark Commercial, which builds, leases and sells commercial buildings; and Trumark Urban, a vertically integrated residential developer focused on core urban neighborhoods. TR: Where have you grown geographically and what activities do you perform in those regions? MAPLES: We expanded into Southern California in the early 2000’s with a primary focus on land entitlement. When we started building homes again in 2008, we began in Southern California and gradually expanded northward. Trumark Urban began in San Francisco in 2012, and we have now expanded our urban developments into the Los Angeles market. TR: You have been through several cycles as an organization, how would you characterize this one? What scares you about where we are today and what do you like about where we are today? NELSON: We are optimistic in the direction that the market is headed, but the recovery isn’t fully formed yet, and we believe there are a lot of innings left to go in the game. We are excited about new homebuyers entering the market, as a result of broader job growth and an increase in wages. That said, it is important to be mindful that the downturn is still very real in everyone’s mind, and world events can have a detrimental impact on home buying very quickly. One of the concerns we have is that the market recovery to-date has been propelled by a fairly narrow pool of jobs—mainly tech, as opposed to a broad based recovery. As we continue on this path, we expect to see the recovery spill over into second and third tier markets. In the Bay Area, from January 2011 to August 2015, we were 214.7 percent beyond projections for new jobs created, but 25.3 percent behind projections for new housing. This unevenness is propelled by the growth in the tech industry that has caused a substantial supply and demand imbalance, creating a feeling of a looming housing bubble in certain markets. TR: Are there certain things that you as an organization are doing today to prepare for the near to mid-term? NELSON: As an organization, we are doing everything in our power to position ourselves for what the future might bring. Most recently, we’ve strengthened our executive team by adding division presidents in Northern and Southern California to account for our growth and to enable the company to continue growing responsibly. We are also continuing to expand our financial resources and constantly studying markets with a focus on boomers and millennials to identify where we should plant new roots. TR: How do you see 2016 unfolding? What, in your mind, will characterize that year? Are you optimistic about the next year and the immediate future? MAPLES: Aside from a slight correction here or there, we don’t foresee anything major on the horizon for 2016 that could cause a downturn. At most, we will see moderate appreciation depending on location and continued increase in homebuyers. TR: Are you seeing continued demand growth in housing? Is that demand characterized by any changes in type of housing, amenities, etc.? MAPLES: Dense, walkable suburbs with easy city access are projected to become the new hot spot in 2016 as affordable housing near city centers becomes increasingly scarce. Walkability is considered the ultimate amenity these days whereas ten years ago it didn’t exist; people want to be close to their jobs and entertainment and shopping options. Buyers today value a smaller lot, maintenance free living and interesting and functional architecture, for which they will pay a premium. TR: Are you concerned about the financial markets in respect to development? NELSON: It’s certainly a difficult environment for lenders coming out of downturn. We are in a situation where financing has been improving, but it is still challenging both from homebuyer and developer perspective. TR: Are you concerned about interest rates rising, and what impact do you foresee them making in the industry? MAPLES: We don’t anticipate significant changes in interest rates in the near future. There is room to absorb some interest rate increases that are built into the market, but there are a lot of other important aspects that go into buying a home. Where we do have a concern is loan limits for FHA loans in California markets, which make it difficult for those affected in the downturn to afford a down payment. TR: What challenges are you anticipating in the near term in your industry and more broadly in real estate? NELSON: Labor shortage and cost will continue to be a challenge in the industry. We have yet to replace the labor pool because the downturn lasted so long, but that has also translated to wage increases. TR: What are we not asking that we should be asking? MAPLES: Looking long term, we are eager to see what changes technology will bring to the homebuilding industry and how the market will adapt to those changes. For example, a looming shift in the driverless car arena could have a profound effect on buyer habits. At Trumark Urban’s TEN50 development in downtown Los Angeles, we are introducing the country’s first drone landing pad that will be ready for Amazon deliveries. It’s these kinds of things that get us excited for the future.